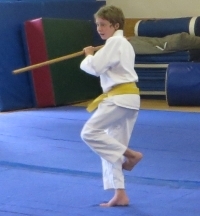 Ukiah Aikido is run as a non-profit organization with a volunteer teaching staff. We believe that a motivated and sincere student should have the opportunity to train. This means we can offer a variety of pricing options, including pay-as-you-go monthly fees, discounted fees for prepayment, and partial scholarships for students who cannot afford to pay full price. "There are no contests in the Art of Peace. A true warrior is invincible because he or she contests with nothing. Defeat means to defeat the mind of contention that we harbor within." - Morihei Ueshiba, founder of Aikido.